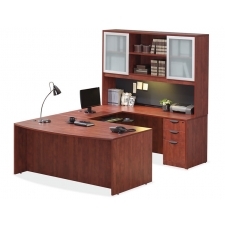 U shaped desks provide the greatest work surface area of any desk setup. 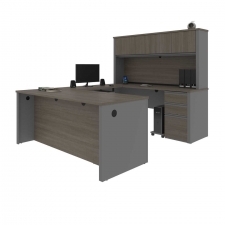 They are designed so that the desk wraps around in both directions, providing space directly in front of the worker as well as space to the left and right. 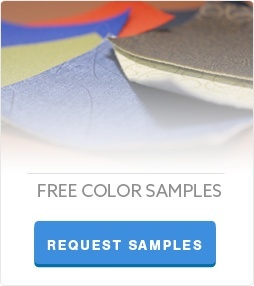 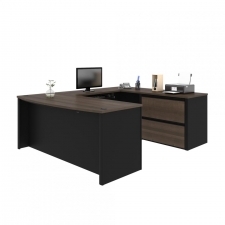 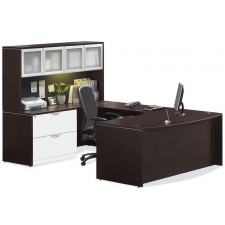 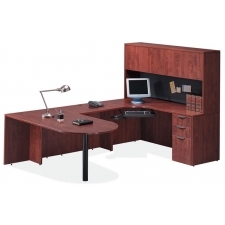 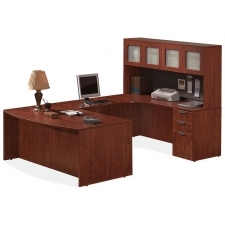 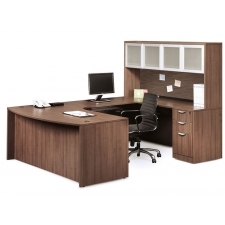 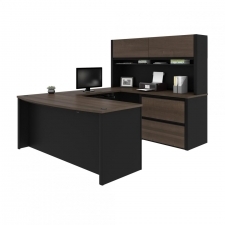 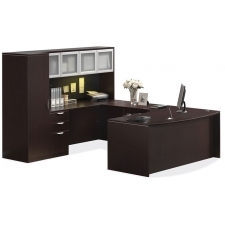 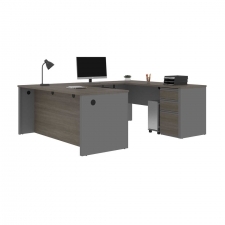 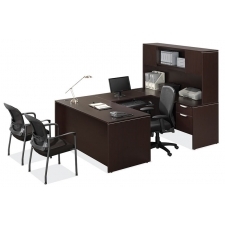 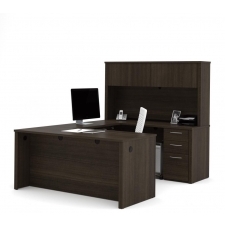 If you are looking for a larger computer desk to fill your office space and to provide a large work area that can be customized to your needs, a U-shaped desk may be right for you.